How Chiropractors Help Chondromalacia Patellae – Coberly Chiropractic, Inc. Approximately 40 percent of injuries that runners experience are knee injuries. These injuries fall under the umbrella term of “runner’s knee.” This includes chondromalacia patellae which may also be referred to as patellofemoral pain syndrome (PFMS). Other runner’s knee injuries include iliotibial band syndrome, and plica syndrome. Chondromalacia patellae is one of the more common forms of runner’s knee, along with PFMS. Rest and ice are typical remedies, but when that doesn’t work or when the pain and mobility difficulties return once the patient returns to normal activities, chiropractic care is often a good treatment option. The knee is a marvelous piece of machinery. It is constructed to take the impact of the body’s weight, bending, and moving. Under the kneecap is a layer of cartilage which acts as a natural shock absorber. Injury, overuse, aging, or other conditions can cause damage to that cartilage. This condition causes pain and impaired mobility, most commonly when the knees are in use such as walking up or down stairs. The pain may decrease with rest and ice, but sometimes that simply isn’t enough. Traditional treatments include physical therapy, medication for pain, and surgery. The most common symptom of chondromalacia patellae is pain in the front of the knee. It is often described as a dull ache that is deep in the knee. This pain is often made worse when the patient sits with their knee bent for a long time, when they squat or kneel, or when they walk up and down stairs. The more the patient uses the knee, the worse it is. However, rest and ice can work fairly quickly to help relieve the pain. If the pain persists even with rest and ice, then more aggressive care is usually advised. While traditionally doctors prescribe medication and even surgery, more patients are gravitating to drug free, less invasive treatments for knee pain. Chiropractic is a viable option. The exact cause of chondromalacia patellae is not known. Doctors have been able to link the condition to several factors. Overuse of the knee places repetitive stress on the joint. This is commonly seen in sports or activities that involve a lot of jumping or running. Poor muscle control is another common factor. The muscles that surround the knee and hip don’t function properly so that tracking of the kneecap is “off.” Injury is another common factor with chondromalacia patellae. When the kneecap endures a trauma such as fracture or dislocation. There are several factors that may increase a person’s risk of developing chondromalacia patellae. Age is often noted in young adults and adolescents. Older individuals with knee pain are usually experiencing effects of arthritis. Gender is another risk factor. Women develop the condition twice as often as men. Doctors theorize that this is due to the skeletal structure of a woman – the pelvis is wider which increases the angle where the bones of the knee joint meet. Individuals who participate in certain sports, such as those that involve a lot of jumping and running, are at an increased risk of developing the condition. This is particularly true if they suddenly increase their level of training. Successful chiropractic treatments for chondromalacia patellae include nutritional intervention as well as adjustments and stretches. The treatment is designed to stretch shortened hamstrings and adjust the sacroiliac joint. The point of much of the treatment is to improve tracking of the kneecap and increase motor control. Some practitioners use soft tissue work to help patients with knee pain. The whole body approach that chiropractic care offers not only provides relief from knee pain, but often cures or reduces the condition itself. 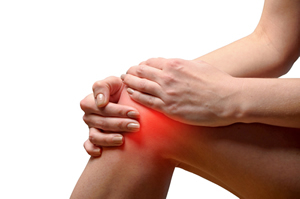 If you or a loved one are suffering from knee pain, give us a call. Our Doctor of Chiropractic will do a thorough exam to determine the proper treatment protocol for your condition. You don’t have to live with pain. Again, give us a call. We’re here to help!